Everything that you know from our compression leggings, but now, way better! Meet our Ultra High-Waist Leggings Daylight Energy. Perfect for the long legged beauties out there this legging is constructed with a custom Poly-Lycra blend fabric that combines exceptional performance with a flattering and softened. 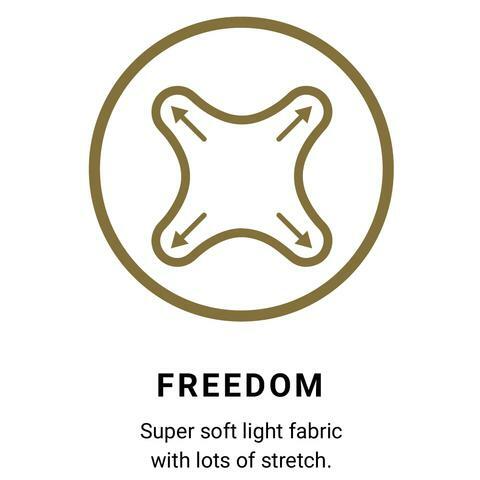 Sitting snugly above the hips, the elastic-free ultra high sitting waistband is sinfully comfortable and eliminates unsightly elastic lumps and bumps. For all fits, athletic to curvy, the Ultra High-Waist Leggings expands with your muscles in all movements and provides comfort with superior breath ability and support.